Personal finance news with Paul Lewis. 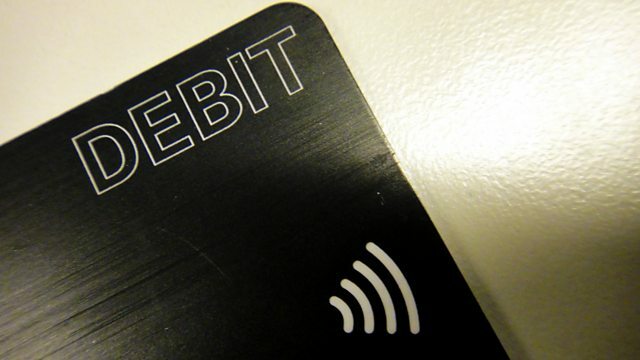 Card payment glitches at contactless terminals - could you end up paying twice? Plus customers fobbed off after long air delays. The European Union has strict rules about when air passengers are compensated for delays and how much they get. A passenger who arrives more than 3 hours late is entitled to a payment of between ?250 and ?600 (about £200 to £500) depending on the length of the journey. It applies to any flight from an EU airport or any flight on an EU carrier into an EU airport. But if an airline makes excuses and refuses to pay up, who enforces the rules? The Jockey Club is after your money - with a promises of a 7.75% return on investments of at least £2000 over five years. And it's an each way bet - 4.75% cash and 3% in Rewards4Racing points which you can spend on tickets and refreshments at the Jockey Club's 15 racecourses. More than £3 billion has been poured into similar retail investment bonds issued over the last year by other firms. But are these bonds a good bet? Financial experts also unpick the merits of buying shares or investing in bond funds as part of your portfolio. Around 3.5 million taxpayers are being sent cheques - typically between £350 and £500 - after overpaying their tax in 2012/13. But two million more will be less happy - they have had too little tax deducted and typically owe HMRC between £400 and £500. HMRC says these are not mistakes but simply a reconciliation. The programme explains what's happening.